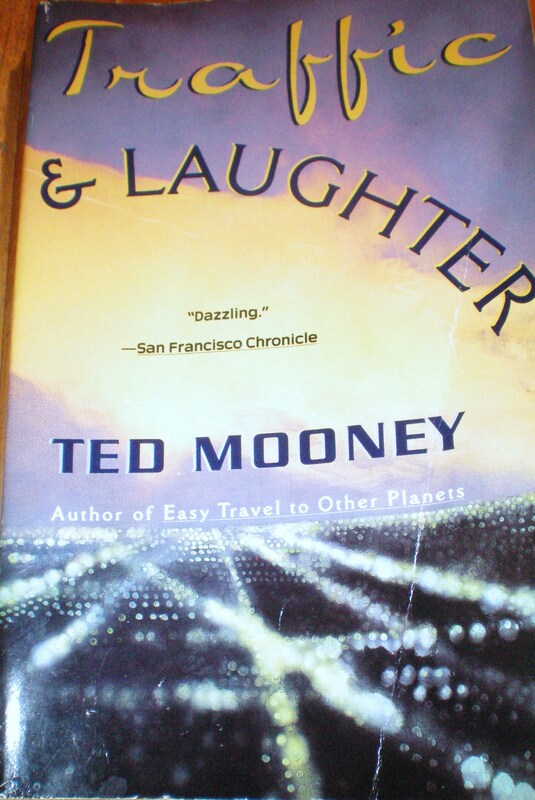 You’re well into Ted Mooney’s second novel, Traffic and Laughter (1988), before you realize that its world, which feels so familiar, isn’t ours. The time is the mid 1980s; the post-WWII babies are in their 30s. But only now has the atom been split and the A-bomb invented. Diplomats from Germany, the US, and the unrecognized state of Azania in Southern Africa are brokering a deal about when and where to test this weapon. Meanwhile, the daughters of the US and Azanian diplomats, Sylvia and Nomanzi, meet and form their own alliance in Los Angeles. Various mysteries and muddles featuring a jilted fiancé, green sedan, car wash shoot-out, samurai sword, immobility artist, single diamond earring, arms trafficking and an interrupted wedding culminate in the production of a movie based on the Great Infatuation, a bizarre event in the history of the African Xhosa people. In Easy Travel to Other Planets, when Nicole deceives Diego, Jeffery considers that her “well-placed lie” “could cause multiple fractures in the bones of everyone who happened to be standing around it” (87). In Traffic and Laughter, lies compound betrayals and deceptions multiply. Its epigraph, “If it were not true, I would have told you,” an allusion to John 14:2, is recalled by a narrative voice that insists the story being told is true (4, 143, 261, 388).